It's very easy to find friends, colleagues, neighbors and acquaintances who cloak their frivolous lifestyle and habits with the "you only live once" clitché. What they mean by that is "I only have one life to live, therefore I should enjoy it to the fullest". By enjoyment, they engage in lifestyle that cut their one life short. On the flip side there are the so called "enjoyable" and "good" things that also cut our lives short. As an adult we have the right to live life how we want it. 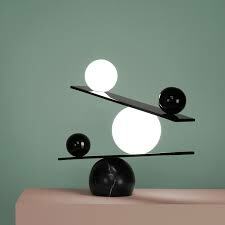 As much as that's right, if we want to live a better and more fulfilling life, I think it's necessary to live a balanced life. Now you can put in the other flavours and iceing to make life interesting. Let us look at it as a delicious meal. You cannot prepare a delicious rice by cooking just rice. You have to put in Salt and pepper and onion and all other ingredients to make it palatable. These ingredients have to be in a proportion that suits your taste. You got a 34.17% upvote from @allaz courtesy of @princeshady5!